Going into the FW19/20 season, freeriding continues to be the dominant Alpine trend. As a direct consequence, avalanche protection emerges as a hot button issue. Find all the latest gear for safely navigating the backcountry in our buyer’s guide by Natalia Maruniak. On the heels of the backcountry trend, “the global awareness that getting in the outdoors could get you into exposed situations seems higher than ever,” said Matthieu Giraud at Resero Whistle. 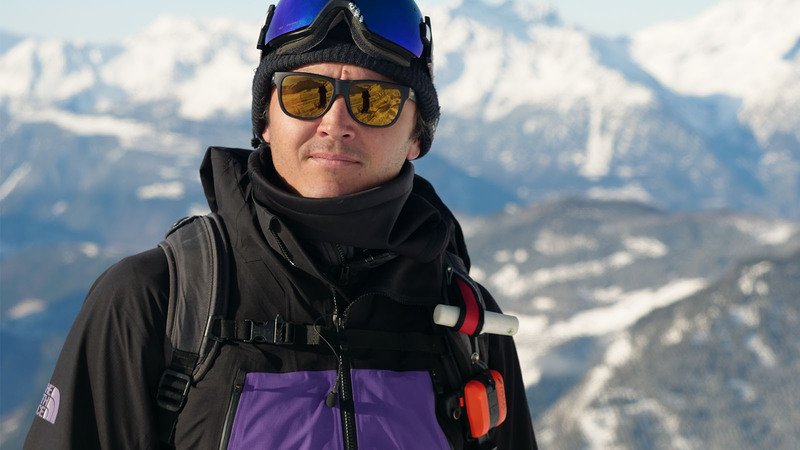 “Innovations like the IOT emergency Resero Whistle seem to be playing a major role to keep on building awareness and revenue on the snow safety market.” Black Diamond helps spread awareness via “digital learning programs such as the Snow Safety App and on-site workshops with pro riders.” After all, “the best gear is not enough – it is the training and knowledge about snow safety,” said Christian Lehmann, Brand Marketing and Pro Sales Manager Europe. Most powder-hungry riders have accepted that snow safety gear is indispensable for freeriding. The basic kit consists of a snow safety transceiver, beacon and shovel, plus the additional backpack with airbag system. “Airbags will soon be mandatory if you go in the backcountry,“ said Michael Vogt at ABS. Customer expectations are rising accordingly. “First and foremost, customers expect their safety gear to assemble quickly and perform when it counts in a real rescue scenario,” said Seth Lightcap, Marketing Manager at Jones Snowboards. “Lightweight but safe… It needs to be there when it counts. Otherwise, you shouldn’t notice it,” said Lucy Willmott at Ortovox. Brands also point out longevity and reliability, as well as “intuitive operation” (Recco). ABS provides a unique airbag system with two chambers. Aside from their double balloon Twinbag system, the “partner activation is the most important feature. Over 20% are not able to pull the trigger by themselves, that’s why the partner protects you best,” said Michael Vogt, while announcing a completely new, groundbreaking system to be released soon. The highlight at Advenate is the Surface IAS 24 avalanche backpack as “it is the only airbag system on the market with an integrated breathing system. It allows you to activate two different systems with one movement,” explained CEO Matthias Werz, for whom “breathing under snow” represents a big topic for snow safety brands in the future. Ortovox is focused on reducing weight while maximizing airbag volume. The minimalistic AVABAG system is fully detachable, lightweight, compact and allows for dry practice. Integrated into the Jones DSCNT 32l RAS avalanche pack, the Mammut RAS 3.0 System can also be detached for everyday use while offering another key advantage: “It allows you to travel with the air canister empty,” said Seth Lightcap. Dakine is another brand implementing the detachable Airbag 3.0 System from Mammut. The cutting edge Poacher RAS Pack is available in 18L to 42L capacity with roll-top enclosures. “By eliminating the weakness created by a standard zipper, we have created a Poacher RAS Pack that is simpler, easier to use and longer lasting,” said Flavien Foucher, EMEA Marketing and Merchandising Manager. 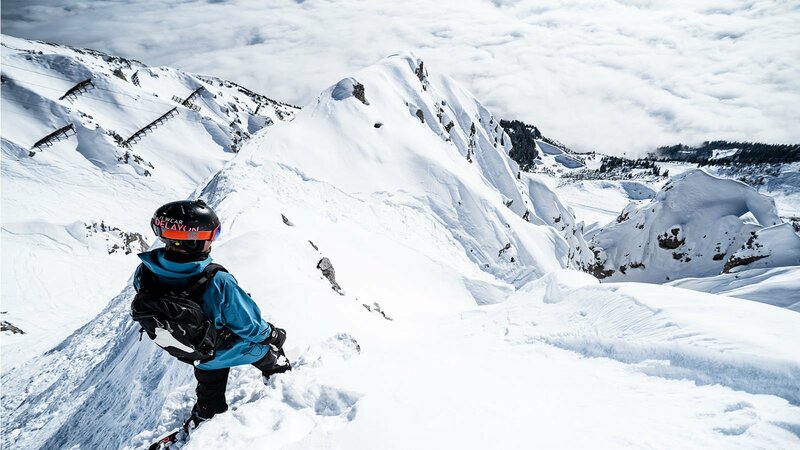 Black Diamond, who created the first airbag system without gas cartridges in collaboration with PIEPS, releases a new line of Jetforce avalanche backpacks for 2019, including the JetForce PRO with Bluetooth connectivity via the PIEPS app. Launched for Fall 2019, the new Black Diamond Beacons Guide BT and Recon BT also rely on Bluetooth. “Their cutting-edge features for long-range and multiple burial searching are supported through their Bluetooth capabilities via the PIEPS app,” said Christian. Ortovox continues to bank on Smart Antenna technology, which automatically switches to the best broadcast antenna to optimize rescue efforts, while all transceivers are equipped with Recco reflectors, “following the philosophy that all means should be used in case things go wrong, giving organized rescue an additional option to locate a buried person electronically,” said Manuel Dürmoser, Global Marketing at Recco. 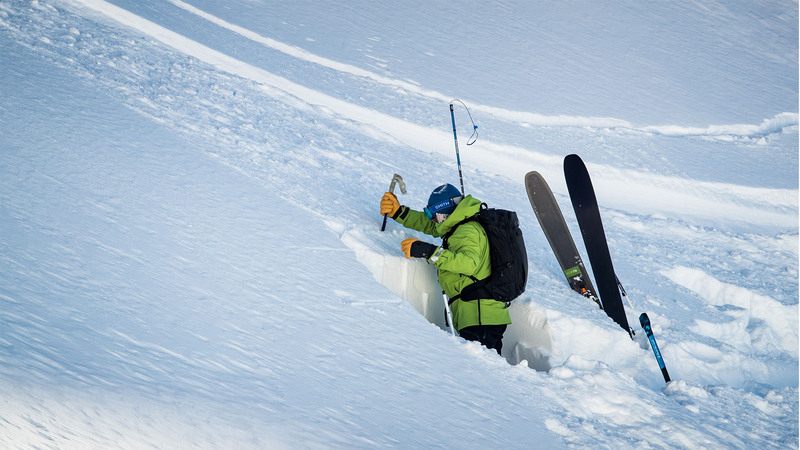 Next season offers a wide range of probes and shovels, a standout product is clearly the Hypbrid Pro from Advenate – a combination of shovel, probe and winterproof bivouac, extremely leightweight and with minimal packing size. “The Advenate Hybrid Pro combines all essential equipment items for a night in the mountains, whether planned or unplanned and that without seperate tent poles. For all situations where full protection of weather and low weight matters, the Hybrid Pro offers a significant plus in safety“, explained Matthias. Providing additional safety, the Resero Whistle is a new to market easy-to-activate wearable device that sends precise GPS coordinates and user’s details to friends and local rescue at a pull of a trigger, also compatible with avalanche backpacks. 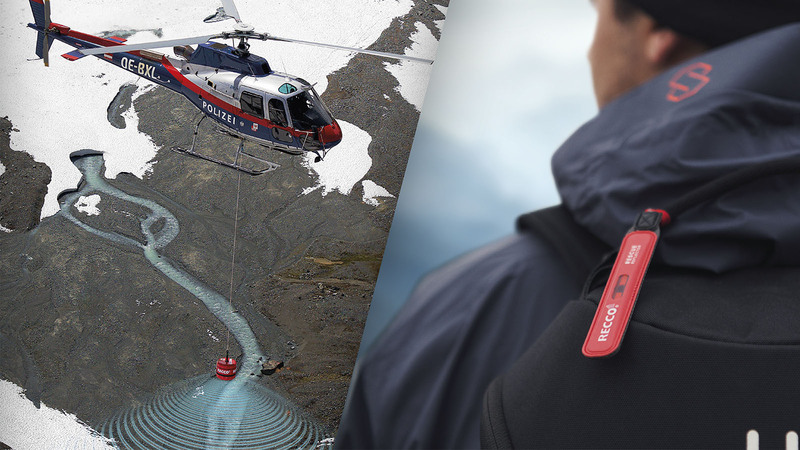 In addition, its signals can be tracked from super remote areas with no network such as crevasses by Resero SAR mounted on a rescue helicopter or drone from up to 15 kilometers away. And on-trend for next season, it is also equipped with a Recco reflector – a feature not only found in snow safety gear from several brands but soon also available for purchase solo to pair with helmets and backpacks. In other news, the brand is also expanding into helicopter search with the RECCO SAR Helicopter detector. With that said, consumers should get educated about avalanche protection and stay safe out there in the backcountry.